The presence of freeform window mode in Android N was a great find by the team at Ars Technica, but there’s a reason why it was so thoroughly buried in the first Android N developer preview: it’s buggy and unstable and far from ready for showtime. 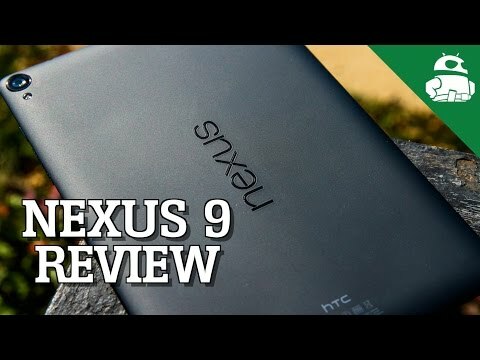 Nevertheless, I enabled the feature on my trusty Nexus 9 to see how it worked and to find out if it is actually worth recommending. Full disclosure: I absolutely love the new multitasking and app switching options in the N preview: double-tap to switch, continual tapping to cycle through recent apps, split-screen mode. I’m a big fan of all of it, so I may be slightly more predisposed to like freeform window mode on Android N than others. It has to be noted that there are some that seriously dislike Android N’s new multitasking and recent apps changes. Enabling freeform window mode on Android N isn’t terribly difficult, you simply need to run some ADB shell commands in a terminal window to get it up and running. But there’s a difference between whether you can get it running and whether you should get it running (which is why I’m not sharing those instructions here). I’d suggest you steer clear of it if you need your tablet in any kind of regular way. There's a difference between whether you can get it running and whether you should get it running. To give you an example, the first few minutes of playing around with resizable windows enabled on my Nexus 9 was a super buggy affair that led me to reboot a couple times. Some apps simply don’t work at all (like Chrome) and the N preview breaks a few others straight away (like ES File Explorer and TunnelBear, my VPN service). While using freeform windows in their current state you’ll have app crashes, freezes and all kinds of irregular behavior. Are resizable windows any good? Moving beyond the obvious and understandable reasons for this unstable performance, what is the feature itself actually like to use? It’s a little weird, to be honest. While dragging and resizing windows on a home screen is a perfectly familiar action from desktop computing, doing it on a phone or tablet is a little odd. Split-screen mode is already too small for some people, so adding multiple other apps makes things even worse. Of course, floating mini apps and resizable windows have been around via apps or manufacturer software additions for ages. The popularity of these apps and features are in some way responsible for the option finally being baked into Android. But its true use-value is debatable. If you’ve already got the option for split-screen with a slidable divider, how much more benefit are you going to get from multiple overlapping apps? The process itself is simple enough: tap the recent apps button and you’ll see your apps cascaded as normal, but with a new square button on the header bar next to the X. Tap that, and the app will appear on a random wallpaper (not on top of your home screen) and the freeform button will become a maximize button. You can move the app window around using the header bar and drag the edges to resize it (although you can only resize one dimension at a time). Only the “most active” app will remain live though, so, for example, videos will not continue to play if you’re working in another window. Freeform apps frequently dump their contents at the moment too, so, unlike the app “screenshot” Android takes when you switch apps normally and open the recent apps cascade, freeform apps regularly go blank. Of course, this will be ironed out as the feature gets closer to prime time, but there’s no way of telling yet whether multiple apps will be able to remain active at the same time, so you can have videos playing in the background, for example. Drag and drop between freeform windows works just the same as it does with split-screen mode and if you drag a window too close to the edge it will jump into split-screen mode. When will freeform windows arrive officially? The Android N documentation does mention freely resizable app windows, so it’s possible that we will see the feature officially rolled out in the N release, but it’s a long way from being ready yet. So much so that we might not even see it the final Android 7.0 release (or whatever Android N becomes), let alone in a future N preview. Compared to the multi-window mode that debuted in the Android M preview, freeform windows are very unstable and glitchy. By comparison, Android M’s multi-window mode was actually pretty good and it still never made it into an official Marshmallow release. It had to be enabled much like freeform windows needs to be now. We only saw multi-window mode “officially” revealed in the first Android N developer preview, a year after it first appeared. As we all know, preview features are far from set in stone, so it’s possible that freeform windows might not make it into an official build of Android until the Android O release. To my mind, freeform windows seem to be more effort than they’re worth, especially with split-screen mode working so well already. As much as I expected to like the feature, I simply don’t see much added value in being able to float multiple apps at once. Even on a tablet as large as the Nexus 9 it seems pretty useless, and on a phone there’s no point at all. Even when the feature is more polished there’s no getting around the size constraints. Perhaps it’s just because multi-window mode works so well that freeform windows seem unnecessary to me. The only way I can see it being useful is on even larger-screened tablets and ChromeOS devices, but I still can’t see it being more popular than split screen. For phones and smaller tablets it doesn’t make much sense at all in its current form. But, like multi-window mode, the final version of freeform windows might be very different from its first appearance, so I’ll reserve final judgement until it’s fully cooked. What do you think about freeform windows? Do you see it being useful?